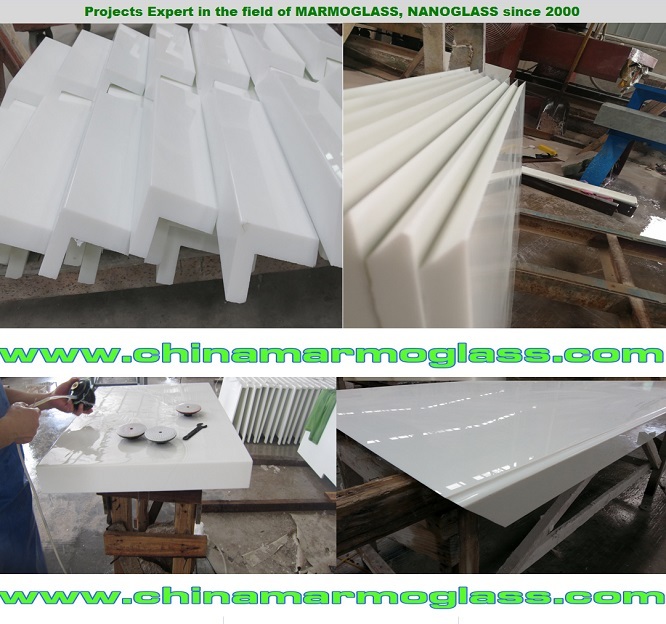 Seamless 45 Miter Joint Nano Glass (Nanoglass) -welcome to china marmoglass, nanoglass, nano crystallized glass panel crystallized glass panel,crystallized white stone,white marble,minicrystal stone. What is a Mitered Edge Finishing ? What is Mitered Edge look like ? Can we make Nano Glass (Nanoglass) with Mitered Edge ? Mitered edges are commonly used to create a seamless edge. Mitered ege in 45 degrees is necessary for countertop & vantiytop.